Online Marketing (also known as Internet Marketing or Web Marketing) is a form of marketing which focuses on the internet as a platform for promoting a business. 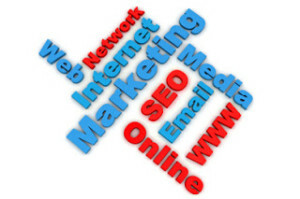 This type of marketing uses various strategies and techniques to drive traffic to an advertiser’s website, or raise awareness of business products and services. Banner advertising, Pay per Click (PPC), targeted Email lists and Search Engine Optimisation are some of the many methods used in Internet marketing to generate traffic and raise awareness of a businesses products or services. Online marketing is not JUST for online businesses – there are plenty of online opportunities that can be harnessed to generate enquiries and sales for traditional “bricks and mortar” based businesses as well. Whilst a website is undoubtedly an important marketing tool for many businesses, it is not necessarily a requirement for Internet Marketing.